Sen. Charles Schumer (D-NY) told the Associated Press Saturday that he wants the federal government to criminalize the new synthetic stimulant drugs mephedrone and MPDV (methylenedioxypyrovalerone). Although he said he was announcing a bill Sunday, it had yet to be filed as of Monday afternoon. Marketed as "bath salts" under brand names including Ivory Wave, Zoom, and White Lightning, and sold in head shops, convenience stores, and corner gas stations across the land, as well as on the Internet, the drugs have effects on users similar to those of cocaine or amphetamines. The substances are already banned by emergency action in three states -- Florida, Louisiana, and Mississippi -- and similar actions are likely in other states. Alarm-raising press reports are typically followed by hasty administrative or legislative action at the state house. Now, Sen. Schumer wants to ban the substances nationwide. The bath salts "contain ingredients that are nothing more than legally sanctioned narcotics," he said. The DEA is aware of the bath salts drugs and have them listed as drugs of concern, but it has so far not moved to enact a ban. Drug War Chronicle has been following the mephedrone story for the past year. Read our recent overview here. Poison control centers, hospital emergency rooms, and law enforcement are all raising the alarm about a new, uncontrolled stimulant drug, and the first moves to ban the drug at the state level have already taken place. But the DEA has yet to act, and drug policy analysts say that a reflexive move to ban the drug may not be the answer. Going, going, gone in Louisiana. Who's next? The drug is 4-methylmethcathinone, also known as mephedrone, a synthetic derivative of cathinone, the psychoactive stimulant found in the khat plant. (To be completely accurate, there are actually a number of methcathinone analogues involved, but for brevity's sake we will refer simply to mephedrone.) It produces a stimulant effect that users have likened to that of cocaine, ecstasy, methamphetamines, or Ritalin. The drug is being sold as bath salts, plant food, or plant fertilizer and typically marketed with the words "not for human consumption" under product names including Ivory Wave, Vanilla Sky, Pure Ivory, and Sextacy. Marketers also use names with a local charge, such as Hurricane Charlie in Louisiana and White Lightning in Kentucky. After hysterical press coverage of unproven mephedrone overdose deaths in England early last year, the drug was banned in the United Kingdom, and in November, the European Union banned mephedrone in member countries, citing a risk assessment from the European Monitoring Center on Drugs and Drug Abuse (EMCDDA). But while that risk assessment found that mephedrone can cause acute health problems and lead to dependence, it found only tenuous links between mephedrone and any alleged fatalities. The risk assessment also cautioned that banning the drug could create its own problems. "Control measures could create an illegal market in mephedrone with the associated risk of criminal activity," EMCDDA warned. But the European Union didn't listen, and now, politicians in the US states where mephedrone is most prevalent, are jumping on the ban bandwagon. Last week, Louisiana Gov. Bobby Jindal (R) issued an emergency rule making the possession, distribution, or manufacture of mephedrone illegal and placing it in Schedule 1 of the state's controlled substances act. That means violators could face up to 30 years in prison. "These drugs have crept into our communities and they are hurting our kids," said Jindal as he announced the rule. "We have to do everything in our power to protect our children and to make sure our streets are safe for our families. The reality is that the chemicals used to make these dangerous substances have no legitimate use other than to provide a high for the user. Today’s announcement gives our law enforcement officials the tools they need to crack down on the people pushing these dangerous drugs. Indeed, our law enforcement officials can immediately take these drugs off the shelf -- and at the same time, it's now illegal to possess and use these dangerous chemicals." This week, neighboring Mississippi is moving against the substance. 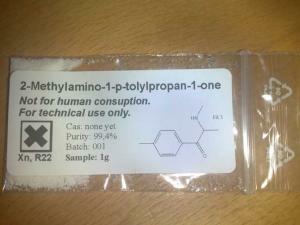 At least two bills to ban mephedrone have been introduced and are moving through committees. The bills are likely to be combined. As in Louisiana, the bills envision harsh penalties, with offenders facing up to 20 years in prison. News media reports warning of the new "menace" and urging authorities to act have also appeared in Georgia and Texas. Such news reports are often a precursor to legislative or administrative action. That these first moves to ban mephedrone are taking place on the Gulf Coast makes sense because that is where the drug has made the deepest inroads. Louisiana Poison Control Center director Dr. Mark Ryan went public with news of mounting calls about mephedrone just before Christmas, and on Monday, the American Association of Poison Control Centers issued a nationwide alert about mephedrone. The alert shows that, at this point, mephedrone is very much a regional phenomenon. Poison control centers around the country have taken more than 300 calls about mephedrone, 69 of them in just the first days of 2011. While poison centers representing 25 states have received calls, 165 of them were in Louisiana. Kentucky was second with 23 calls. In the Upper Midwest, however, there have been no calls about mephedrone. "We got notice a few weeks ago about reports from other poison centers, but we're not aware of any coming to our regional center," said Rachel Brandt of the Sanford Poison Control Center in Sioux Falls, South Dakota, which covers Minnesota and the Dakotas. It's a much different story in Louisiana. "We got our first case on September 29 and shortly thereafter we began getting calls just about every day," said the Louisiana Poison Control Center's Dr. Ryan. "We reported to the state health department that this was coming up on our radar, that we were getting people with bizarre, off-the-wall symptoms, with some of them staying in the hospital for five to seven days and the symptoms not resolving very well. The state became very concerned, and so did we as the number of calls continued to increase." According to Dr. Ryan, adverse responses to mephedrone can be extreme. "We are seeing people describing intense cravings even though they don't like the high," he said. "We're seeing guys discharged from the hospital showing up again a few days later. We're seeing people who are very anxious or suffering from extreme paranoia, we're seeing people with suicidal thoughts, we're seeing people with delusions and hallucinations. A common thread is that they describe monsters, aliens, or demons." But while the adverse reactions can be disturbing, and while three deaths have been "linked" to mephedrone, there have been no verified mephedrone overdose fatalities. In one case, a 21-year-old man named Dickie Sanders committed suicide three days after ingesting mephedrone. Louisiana media also referred to two other deaths "linked" to the substance, but the connection to mephedrone use remains unproven. "They're saying the other two are related, but there is no toxicology to back that up," said Dr. Ryan. Dealing with new designer drugs is difficult and frustrating, Dr. Ryan said. "We banned six different substances after looking at the ones abused in European countries," he said. "But you can't ban everything, and you could make a different designer cathinone every day. It's like a cat chasing its tail." The DEA is also taking a look at mephedrone. But unlike state legislators, which can act without the least bit of evidence, the DEA is charged with actually finding good reasons to add a new drug to the list of proscribed or controlled substances. While more than a dozen states have criminalized the psychedelic salvia divinorum based on little more than the fear someone somewhere might get high on something legally, the DEA has had salvia on its radar as a drug of concern for nearly a decade, but has yet to find the evidence it needs to schedule it. On the other hand, the DEA is susceptible to political pressure, as indicated by its quick action last November to ban synthetic cannabinoids after being asked to do so by Sen. Orrin Hatch (R-Utah). Mephedrone has been on the DEA's radar since at least September 2009, when an analysis of drug samples containing mephedrone was published in the agency's Microgram Bulletin. But a DEA spokesman told the Chronicle this week the agency has yet to act. "This is a drug of concern," said DEA public information officer Michael Sanders. "We're looking into it right now. We see those drugs out there, but there is a lot of research that goes into actually scheduling something." The DEA may be well served by not rushing to judgment, said drug policy analyst Bill Piper, national affairs director for the Drug Policy Alliance. Prohibiting drugs has not worked in the past and there is no reason to assume it will now, he argued. "Regulation is pretty much always better than prohibition because it means you can actually control the drug," he said. "You can regulate potency, quality, and all that stuff, but prohibiting it just drives it further into an unregulated market. Prohibition certainly has not controlled cocaine, ecstasy, or meth," Piper pointed out. "It seems really strange that the political position around drugs in this country is that the only drugs people can legally use from now until the end of time are apparently alcohol, tobacco, and caffeine," Piper said. "And at least two of those substances are more dangerous than most of the other drugs. Every new substance is either banned immediately or eventually. This should be something for policymakers and voters to discuss and debate instead of just having knee-jerk responses." That unfortunately has yet to happen, for mephedrone or for most drugs, and the drive to prohibit mephedrone is gaining steam. This year saw continued turmoil, agitation, and evolution on the international drug policy front. While we don't have the space to cover all the developments -- the expansion of medical marijuana access in Israel, the rise of Portugal as a drug reform model, the slow spread of harm reduction practices across Eurasia -- here are what we see as the most significant international drug policy developments of the year. Mexico's ongoing tragedy is exhibit number one in the failure of global drug prohibition. This month, the official death toll since President Felipe Calderon deployed the military against the so-called cartels in December 2006 passed 30,000, with 10,000 killed this year alone. The multi-sided conflict pits the cartels against each other, cartel factions against each other, cartels against law enforcement and the military, and, at times, elements of the military and different levels of law enforcement against each other. The US has spent $1.2 billion of Plan Merida funds, mainly beefing up the police and the military, and appropriated another $600 million this summer, much of it to send more lawmen, prosecutors, and National Guard units to the border. None of it seems to make much difference in the supply of cocaine, heroin, marijuana, and methamphetamine coming over (under, around, and through) the border, but the horrorific violence of Mexico's drug war is eroding public confidence in the state and its ability to exercise one of its essential functions: maintaining order. The slow-motion disaster has spurred talk of legalization in Mexico -- and beyond -- but there is little chance of any real movement toward that solution anytime in the near future. 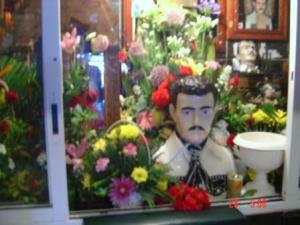 In the mean time, Mexico bleeds for our sins. The critique of the international drug policy status quo that has been growing louder and louder for the past decade or so turned into a roar in 2010. Impelled in part by the ongoing crisis in Mexico and in part by a more generalized disdain for failed drug war policies, calls for radical reform came fast and furious, and from some unexpected corners this year. In January, the former French Polynesian President Oscar Temaru called for Tahiti to legalize marijuana and sell it to European tourists to provide jobs for unemployed youth. Three months later, members of the ruling party of another island nation spoke out for reform. In traditionally tough on drugs Bermuda, leading Progressive Labor Party members called for decriminalization. In February, an international conference of political figures, academics, social scientists, security experts, and activists in Mexico City called prohibition in Mexico a disaster and urged drug policies based on prevention, scientific evidence, and respect for human life. By August, as the wave of violence sweeping Mexico grew ever more threatening, President Felipe Calderon opened the door to a discussion of drug legalization, and although he quickly tried to slam it shut, former President Vicente Fox quickly jumped in to call for the legalization of the production, distribution, and sale of drugs. "Radical prohibition strategies have never worked," he said. That inspired Colombian President Juan Manuel Santos to say that he supported the call for a debate on legalization. The situation in Mexico also inspired two leading Spanish political figures, former Prime Minister Felipe Gonzales and former drug czar Araceli Manjon-Cabeza to call for an end to drug prohibition in the fall. Midsummer saw the emergence of the Vienna Declaration, an official conference declaration of the World AIDS Conference, which called for evidence-based policy making and the decriminalization of drug use. The declaration has garnered thousands of signatures and endorsements, including the endorsements of three former Latin American presidents, Henrique Cardoso of Brazil, Ernesto Zedillo of Mexico, and Cesar Gaviria of Colombia. It has also picked up the support of public health organizations and municipalities worldwide, including the city of Vancouver. Great Britain has also been a locus of drug war criticism this year, beginning with continuing resignations from the Advisory Council on the Misuse of Drugs. Several members of the official body had quit late last year in the wake of the firing of Professor David Nutt as ACMD after he criticized government decisions to reschedule cannabis and not to down-schedule ecstasy. In April, two more ACMD members resigned, this time in response to the government's ignoring their recommendations and banning mephedrone (see below). The revolt continued in August, when the former head of Britain's Royal College of Physicians joined the growing chorus calling for radical reforms of the country's drug laws. Sir Ian Gilmore said the government should consider decriminalizing drug possession because prohibition neither reduced crime nor improved health. That came just three weeks after Nicholas Green, chairman of the Bar Council (the British equivalent of the ABA), called for decriminalization. The following month, Britain's leading cannabis scientist, Roger Pertwee called for cannabis to be legalized and regulated like alcohol and tobacco, and the chairman of the Association of Chief Police Officer's drug committee said marijuana should be decriminalized. Chief Constable Tim Hollis said decrim would allow police to concentrate on more serious crime. The following day, the Liberal Democrats, junior partners in a coalition government with the Conservatives, were lambasted by one of their own. Ewan Hoyle called for a rational debate on drug policy and scolded the party for remaining silent on the issue. And just this past week, former Blair administration Home Office drug minister and defense minister Bob Ainsworth called for the legalization of all illicit drugs, including cocaine and heroin. From Mexico to Great Britain, Vancouver to Vienna, not to mention from Tahiti to Bermuda, the clamor for drug legalization has clearly grown in volume in 2010. More than nine years after the US invaded Afghanistan in a bid to decapitate Al Qaeda and punish the Taliban, the US and NATO occupation drags bloodily on. This year has been the deadliest so far for Western occupiers, with 697 US and NATO troops killed as of December 20. And while the US war machine is fueled by a seemingly endless supply of borrowed cash -- another $160 billion was just authorized for the coming year -- the Taliban runs to a large degree on profits from the opium and heroin trade. In a Faustian bargain, the West has found itself forced to accept widespread opium production as the price of keeping the peasantry out of Taliban ranks while at the same time acknowledging that the profits from the poppies end up as shiny new weapons used to kill Western soldiers and their Afghan allies. The Afghan poppy crop was down this year, not because of successful eradication programs, but because a fungus blighted much of the crop. But even that is not good news: The poppy shortage means prices will rebound and more farmers will plant next year. The West could buy up the entire poppy crop for less than what the US spends in a week to prosecute this war, but it has so far rejected that option. Holland's three-decade long experiment with tolerated marijuana sales at the country's famous coffee shops is probable not going to end under the current conservative government, but it is under pressure. The number of coffee shops operating in the country has dropped by about half from its peak, local governments are putting the squeeze on them via measures such as distance restrictions (must be so far from a school, etc. ), and the national government is about to unveil a plan to effectively bar foreigners from the shops. The way for that was cleared this month when the European Court of Justice ruled that such a ban did not violate European Union guarantees of freedom of travel and equality under the law within the EU because what the coffee shops sell is an illegal product that promotes drug use and public disorder. Whether the "weed pass" system contemplated by opponents of "drug tourism" will come to pass nationwide remains to be seen, but it appears the famous Dutch tolerance is eroding, especially when it comes to foreigners. Do the Dutch really think most people go there just to visit the windmills and the Rijksmuseum? In September, there was a changing of the guard at the UN Office on Drugs and Crime (UNODC), one of the key bureaucratic power centers for the global drug prohibition regime. Outgoing UNODC head Antonio Maria Costa, a former Italian prosecutor, was replaced by veteran Russian diplomat Yury Fedotov. Given Russia's dismal record on drug policy, especially around human rights issues, the treatment of hard drug users, and HIV/AIDS prevention, as well as the Russian government's insistence that the West resort to opium eradication in Afghanistan (Russia is in the throes of a heroin epidemic based on cheap Afghan smack), the international drug reform community looked askance at Fedotov's appointment. But the diplomat's first missive as ONDCP head talked of drug dependence as a disease, not something to be punished, and emphasized a concern with public health and human rights. Fedotov has shown he can talk the talk, but whether he will walk the walk remains to be seen. Coca production is ongoing, if down slightly, in the Andes, after more than a quarter century of US efforts to wipe it out. Plan Colombia continues to be funded, although at declining levels, and aerial and manual eradication continues there. That, and a boom in coca growing in Peru, have led to Peru's arguably retaking first place in coca production from Colombia, but have also led to increased conflict between Peruvian coca growers and a hostile national government. And remnants of the Shining Path have appointed themselves protectors of the trade in several Peruvian coca producing regions. They have clashed repeatedly with Peruvian police, military, and coca eradicators. Meanwhile, Bolivia, the world's number three coca producer continues to be governed by former coca grower union leader Evo Morales, who has allowed a limited increase in coca leaf production. That's enough to upset the US, but not enough to satisfy Bolivian coca growers, who this fall forced Evo's government to repeal a law limiting coca leaf sales. Canada under the Conservatives continues to disappoint. When the Liberals held power in the early part of this decade, Canada was something of a drug reform beacon, even if the Liberals could never quite get around to passing their own marijuana decriminalization bill while in power. They supported Vancouver's safe injection site and embraced harm reduction policies. But under the government of Prime Minister Steven Harper, Canada this year fought and lost (again) to shut down the safe injection site. Harper's justice minister, Rob Nicholson, in May signed extradition papers allowing "Prince of Pot" Marc Emery to fall into the clutches of the Americans, in whose gulag he now resides for the next four years for selling pot seeds. And while Harper's dismissal of parliament in January killed the government's bill to introduced mandatory minimum sentences for a number of offenses, including growing as few as five pot plants, his government reintroduced the bill this fall. It just passed the Senate, but needs to win approval in the House of Commons. The Conservatives won't be able to pass it by themselves there, so the question now becomes whether the Liberals will have the gumption to stand against it. This as polls consistently show a majority of Canadians favoring marijuana legalization. When in doubt, prohibit. That would seem to be the mantra in Europe, where, confronted by the emergence of mephedrone, a synthetic stimulant derived from cathinone, the active ingredient in the khat plant, first Britain and then the entire European Union responded by banning it. Described as having effects similar to cocaine or ecstasy, mephedrone emerged in the English club scene in the past 18 months, generating hysterical tabloid press accounts of its alleged dangers. When two young people supposedly died of mephedrone early this year, the British government ignored the advice of its Advisory Council on the Misuse of Drugs, which called for it to be a Schedule B drug, and banned it. Poland followed suit in September, shutting down shops that sold the drug and claiming the power to pull from the shelves any product that could be harmful to life or health. And just this month, after misrepresenting a study by the European Monitoring Center on Drugs and Drug Addiction, the EU instituted a continent-wide ban on mephedrone. Meet the newest entrant into the black market. Heroin maintenance continues its slow spread in Europe. In March, Denmark became the latest country to embrace heroin maintenance. The Danes thus join Germany, the Netherlands, Switzerland, and, to a lesser degree, Britain, in the heroin maintenance club. In June, British scientists rolled out a study showing heroin maintenance worked and urging the expansion of limited existing programs there. The following month, a blue-ribbon Norwegian committee called for heroin prescription trials and other harm reduction measures there. Research reports on heron maintenance programs have shown they reduce criminality among participants, decrease the chaos in their lives, and make them more amenable to integration into society. Okay, it never really went away in Laos, Burma, and Thailand, and it is still below its levels of the mid-1990s, but opium planting has been on the increase for the last four years in the Golden Triangle. Production has nearly doubled in Burma since 2006 to more than 38,000 hectares, while in Laos, production has more than doubled since 2007. The UNODC values the crop this year at more than $200 million, more than double the estimate of last year's crop. Part of the increase is attributable to increased planting, but part is accounted for by rising prices. While Southeast Asian opium production still trails far behind that in Afghanistan, opium is back with a vengeance in the Golden Triangle. The justice ministers of the 27 countries that constitute the European Union (EU) announced Friday that they had agreed to ban the synthetic stimulant mephedrone across the EU. The drug, which is comparable to ecstasy or cocaine in its effects, is already illegal in 15 EU countries. Marketed under the name "Meow Meow" or "plant food," mephedrone is widely available at retail sales outlets in EU countries where it is still legal. It can also be purchased via the Internet. 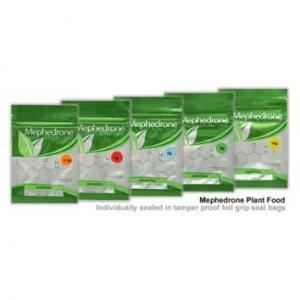 Mephedrone is derived from cathinone, a stimulant compound found in the khat plant. The justice ministers' announcement comes about a month and a half after the European Commission proposed in October that governments act to stop the spread of mephedrone. Friday's decision bans the manufacture and marketing of mephedrone, making those acts a crime anywhere in Europe. "It is good to see that EU governments are prepared to take swift action to ban this dangerous drug," said Vice-President Viviane Reding, the EU's Justice Commissioner in a statement Friday. "This drug is sold over the Internet, often behind innocent names like plant food or bath salts. Young people should not be fooled. These drugs are harmful. The EU has shown today that we can act quickly to stop this kind of drug from taking more lives." The move comes after a wave of hysterical reporting about mephedrone, especially in the British press, and after a risk assessment by the European Monitoring Center on Drugs and Drug Addiction (EMCDDA). That assessment found that while mephedrone can cause acute health problems and lead to dependence, there have been few verified fatalities reported across Europe. Britain reported two fatalities in which mephedrone appeared to be the sole cause of death, but it later turned out that those two deaths had been caused by methadone, not mephedrone. In fact, the EMCDDA risk assessment noted that despite health dangers, there is no direct causal link between mephedrone alone and any deaths. The risk assessment also warned against banning the drug. "Control measures could create an illegal market in mephedrone with the associated risk of criminal activity," the assessment warned. The EMCDDA noted that 37 deaths had been "linked" to mephedrone, but warned against jumping to conclusions. "In some of these cases it is likely that other drugs and/or other medical conditions or trauma may have contributed to or been responsible for death," the assessment noted. "The inquests into the deaths are pending for the majority of these cases therefore it is not possible at this time to determine the contribution of mephedrone." And while the risk assessment noted health dangers with the drug, including headaches, nausea, agitiation, palpitations, chest pains, paranoia, teeth grinding, and sexual arousal, it found that serious side effects such as seizures or abnormal heart rhythms were "rare." "Taken as a whole, the scientific evidence base available for drawing conclusions is limited and this proviso should be borne in mind when interpreting the findings of the risk assessment exercise," the EMCDDA warned. Too bad the EU doesn't listen to its own advisors, instead choosing to play to the sensationalist media peanut gallery. The European Commission, the executive body of the European Union (EU), called for an EU-wide ban on the synthetic drug mephedrone last week, describing it as "dangerous psychoactive substance," but based that call on scanty evidence. The stimulant drug, with effects likened to those of cocaine and ecstasy, is already illegal in 15 EU countries, but remains available in 12 more. 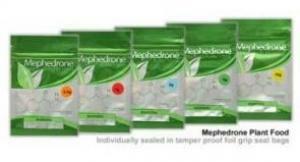 Mephedrone, also known as meow meow, MCAT, or meph, is derived from cathinone, the psychoactive stimulant in khat. It first appeared in European markets in 2007, presumed to be courtesy of Chinese manufacturers, and has been popular in the club scene. For the last year, mephedrone has been breathlessly reported on, especially by tabloids in Britain, where it is now banned. "It is a dangerous drug that is available online and on the street corner. People have died because of this drug, so I urge governments to move fast to control and criminalize it," said justice commissioner Viviane Reding in a Wednesday statement. "We have a responsibility to protect young people against dangerous new psychoactive substances." The commission claimed that mephedrone "has been linked to at least 37 deaths in the UK and Ireland alone" and acted in an emergency manner because of a mephedrone risk assessment report published last week by the European Monitoring Center on Drugs and Alcohol (EMCDDA). The commission added that the report "showed that mephedrone can cause acute health problems and lead to dependency." But the report itself says that no direct causal link can yet be made between mephedrone and the reported deaths. "There have been a very limited number of deaths reported to be related directly to the use of mephedrone," the EMCDDA report said. There are only two in which mephedrone appears to be the sole cause of death. Of the other 35 reported deaths, the EMCDDA report noted, "In some of these cases it is likely that other drugs and/or other medical conditions or trauma may have contributed to or been responsible for death. The inquests into the deaths are pending for the majority of these cases therefore it is not possible at this time to determine the contribution of mephedrone." The evidence base for assessing mephedrone is weak, the report found. "The studies available on mephedrone are few, largely preliminary and focused on user self-reports. To date no epidemiological data on prevalence has been published. The majority of studies originate from the United Kingdom and evidence from other member states is scarce." As a result, EMCDDA warned against a rush to judgment about mephedrone's danger. "Taken as a whole, the scientific evidence base available for drawing conclusions is limited and this proviso should be borne in mind when interpreting the findings of the risk assessment exercise," the report said. But that, of course, is what the EU has done with its call for a union-wide ban on the new club drug. That didn't sit well with former British Advisory Council on the Misuse of Drugs head David Nutt, who was fired for criticizing the government there as "politically motivated rather than scientifically justified" for rescheduling cannabis to a more serious schedule. "An EU-wide ban on mephedrone is remarkable for its lack of scientific evidence," Nutt told EUobserver. "The report primarily relies on user experiences and a handful of hospital admissions, with no formal studies to demonstrate the actual or potential harms of the drug. It is not yet possible to say how harmful mephedrone is given the lack of evidence. However, by legislating on a substance without reliable scientifically-based evidence, we run the risk of causing more harm through criminalizing users than might be caused by the drug itself. The evidence on drug harms should not be sacrificed for political and media pressure."